The AIGA Idaho site was a fun one to build. Not only was it for a cause close to our hearts, it also involved some tricky content management and CSS. 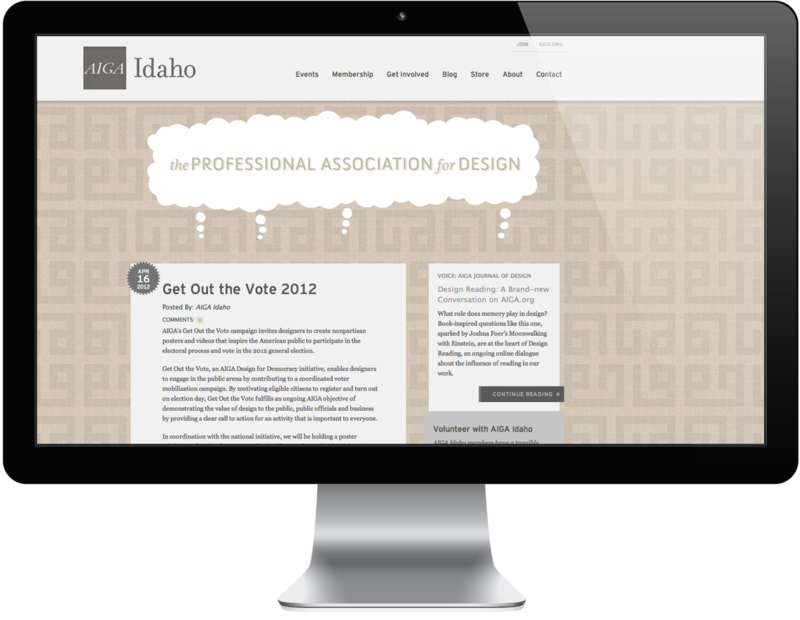 AIGA Idaho wanted to involve their members by asking them to design backgrounds for each page of the site. As they say on the site, "The backgrounds are the life of the site, adding unique custom typographic headings, textures and colors, with the interface left intentionally neutral." The site was designed by a committee of AIGA members. Creative Soapbox donated the time to develop the site with ExpressionEngine.